Turkish police detained journalist Suat Karagoz in Van on Saturday. European Court of Human Rights fined Turkey 5,000 euros for closing Evrensel newspaper in 2001. The director of Radio Ses, Semra Ozlu, was detained by Turkish police on Wednesday. According to the Bia Media Observation Report prepared by RSF Turkey representative Erol Önderoğlu, 122 media workers are behind bars in Turkey as of 1 January 2018. A Turkish court sentenced five journalists to nine years and nine months in prison for their solidarity action with Ozgur Gundem newspaper. After the ANF articles about the MIT administrators and articles on the Paris Massacre were published on RojNews, the agency’s Twitter accounts in Turkish and Kurdish have been restricted in Turkey. Cyber attacks on our agency have intensified after we published a video footage from the moment two high ranking MİT officials were captured by HPG. Turkish administration suspended access to the websites of the Mezopotamya News Agency and Özgürlükçü Demokrasi newspaper. Journalist Arif Aslan, whose recent release from prison was appealed against by a prosecutor, has been re-detained and taken to police department. Abdullah Kaya, a reporter for Dicle News Agency (DİHA) that was shut down with a statutory decree, has been jailed. Diyarbakir Prosecutor’s Office demanded 39-year prison sentence for three journalists for their reports about clashes between the Turkish army and YPS in Idil, a district of Sirnak province. Journalist Mehmet Ali Ertaş has received prison sentence for calling Ankara bombing of 10 October 2015 a “massacre”. The Committee to Protect Journalists condemned the closure of an independent television broadcaster by the Kurdish authorities in northern Iraq, and attacks on journalists covering anti-austerity protests held in the same region. 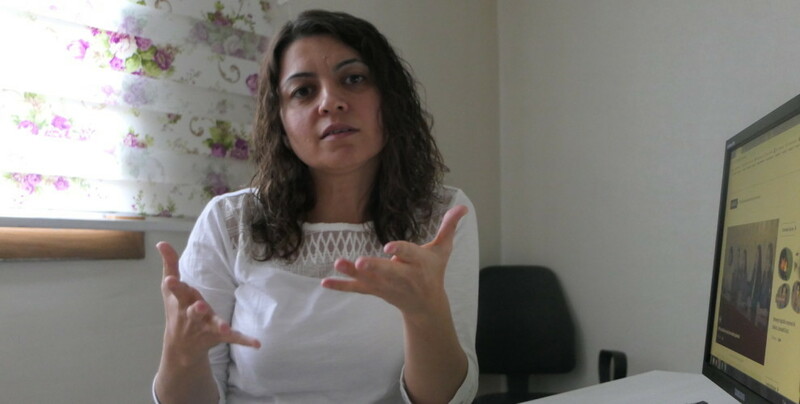 Seda Taşkın, a reporter for Mezopotamya News Agency, was taken into custody in Muş province. 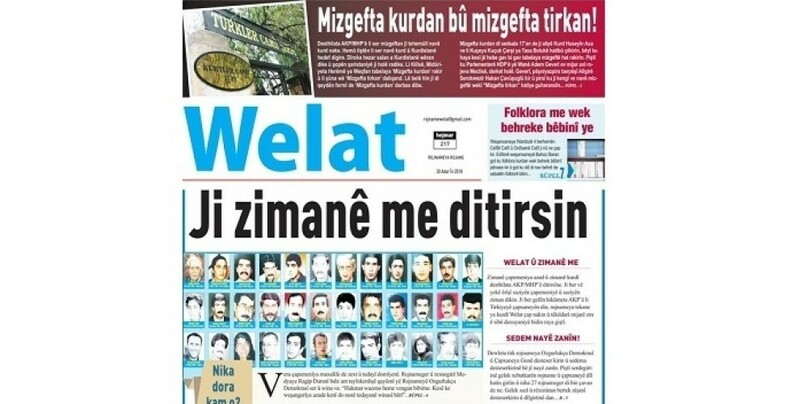 Investigations have been launched against journalists Bilal Güldem and Zuhal Atlan for their questions about Öcalan. With 42 reporters and one media worker behind bars Turkey is the world’s biggest prisons for journalists, Reporters Without Borders said. ETHA reporter Meşale Tolu and five other prisoners have been released on condition of travel ban and judicial control. A Turkish court accepted an indictment against two Kurdish journalists which demands 15-year prison sentences for each. Journalist Nedim Türfent received threats of execution during the period of the curfews and has been in prison for 19 months for his journalistic activity in Gever. He has been sentenced to 8 years and 9 months in prison. Free Journalists Initiative stated that 168 journalists are imprisoned and 7 in custody, while 28 other journalists and one news agency have been sued in the month of November. Özgür Gündem Co-Editor Eren Keskin and Editor in Chief Reyhan Çapan received a 100.000 Lira fine. Journalists Selman Keleş and Arif Aslan, who had been jailed in March, have been released. A Turkish court sentenced two journalists to ten months in prison for publishing a statement of KCK.